Soil Health: Does it Matter? This month we hear from Doug Peterson, Rancher and NRCS State Soil Health Conservationist in Missouri. Doug has talked with and trained with a number of the who's who in the grazing and soil health industry. 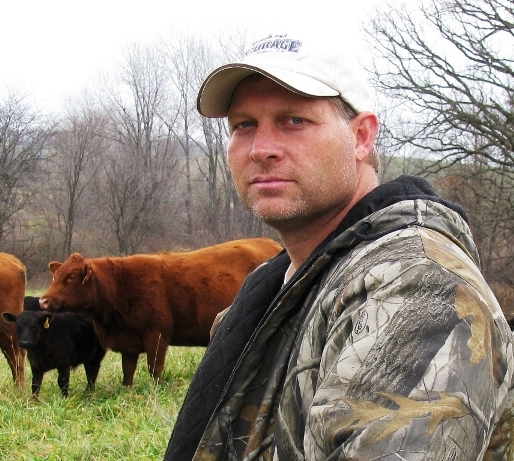 In this interview Doug talks about a GREAT idea for increasing grazing land available to you that may not even cost you any money. 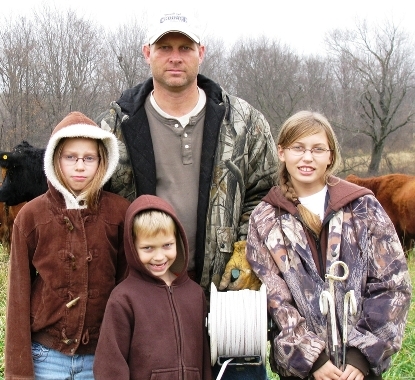 We cover subjects from grassfed cattle and grassfed beef to direct marketing, soil erosion, water retention and more. You need to learn today from Doug's knowledge and experience that he shares with us in this interview. Click the link to the right and join the Network Today! Doug Peterson has been an NRCS employee for over 25 years. He started his career as a Soil Scientist. He has been a District Conservationist in both a grassland based county in south Missouri and a large cropland county in north Missouri. Currently he is the State Soil Health Conservationist teaching staff and producers around the state about soil health, how it impacts virtually all natural resource processes, and what type of management it will take to effectively improve our soils health. He attended college at Missouri Western State University graduating in 1986 with a B.S. degree in Agriculture. His majors were Economics and Agronomy. He grew up on a crop and livestock farm near Newtown in north Missouri. Today he operates a cow/calf and contract grazing operation with his father, Steve. Currently they run about 500 cows. They utilize Management-intensive Grazing and Holistic High Density Grazing to improve soil health, eliminate the need for most purchased fertilizer and limit hay needs to about one bale per cow per winter. Doug’s NRCS training coupled with his real world hands on experience make him a unique speaker that is relatable to both agency personnel and producers. He has been married to his wife Diane for 20 years and they have three kids, Sydney, Paige and Spencer. If you really want to hear about grassfed cattle and grassfed beef to direct marketing, soil erosion, soil health, water retention, and more, you need to hear this interview!